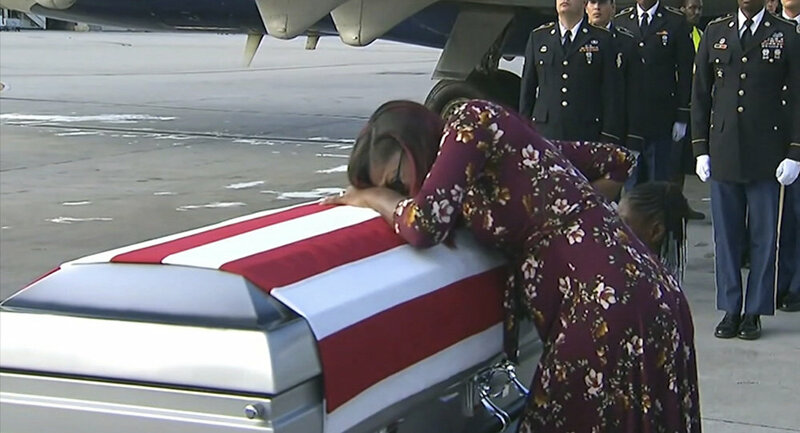 BuzzFeed News described this deadly incident as the "the worst military fiasco under the Trump administration — in which four US soldiers were killed alongside four Nigerians by Islamist militants — was the result of reckless behavior by US Special Forces." Senior US officials privy to the matter told the US media outlet that the "fiasco" came after US soldiers with alleged inadequate reconnaissance support and a lack of ammunition rushed into a tightly-secured hotbed of high-ranking Daesh militants. Buzzfeed News additionally revealed that a number of further "negligent" actions during the mission provided Daesh gunmen with a deadly dominance in accidental combat. However, it remains unclear whether the crucial decisions regarding the lethal patrol mission were made by the soldiers or by the base commanders, the US media outlet stressed. In addition, US senior officials have doubts as to whether the mission should have taken place, BuzzFeed asserted. Any combat operation against high-value targets requires lengthy and meticulous preparation, stressing that this key military notion was ignored. BuzzFeed concluded that the fatal incident reflects the consequences of the US asserting the importance of firepower over intelligence-gathering, even in regions where local military partners provide assistance. Niger has been plagued by insurgency, particularly by Boko Haram militants, a group that has pledged allegiance to Daesh.